According to the American Academy of Pediatric Dentistry and the American Academy of Pediatrics, a child should begin visiting the dentist as soon as they get their first tooth or by their first birthday. 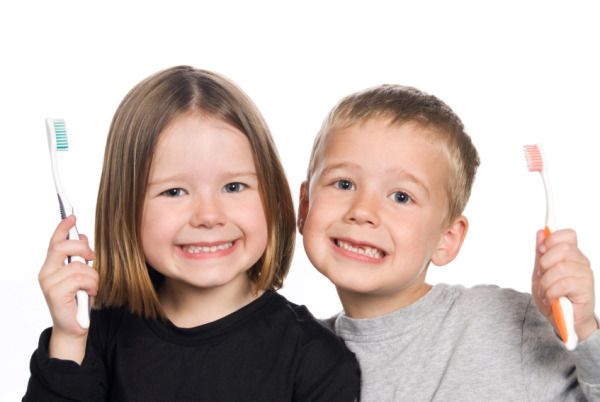 San Diego dentist, Dr. Adina Manolescu believes that the earlier a child visits the dentist, the more positive their outlook on oral health will be. We are a family-oriented practice that welcomes children and their parents/guardians to learn about and receive enjoyable dental care. We will also discuss recommendations for a healthy diet, instructions on at-home dental care, information about fluoride treatment, trauma prevention, teething or sucking habits, and more. Our hope is to educate both you and your child about dental care so that your child can maintain good oral health and look forward to their dental appointments in the future. Dr. Manolescu uses the “Tell-Show-Do” method with all of her young patients, meaning she takes time to explain the procedure, show an example of the procedure, and then finally perform the procedure in order to boost your child’s understanding and comfort. We also take care to use certain words with children in order to associate dental treatment with positive thoughts and experiences. Words such as “flashlight” for our dental mirror and light, or “Pictures” in reference to x-rays, are fun ways to create success during a child’s dental appointment – we encourage parents to use these comforting words as well! If you would like more information about the pediatric services we provide, or to schedule an appointment for your child, contact Dr. Adina Manolescu in San Diego today! We encourage you to talk to your child about their upcoming dental appointment in a positive manner and increase the likelihood of a fun, educational, and comfortable visit. Contact our office if you have any questions.